There are 28 Student Ambassador Scholarships available for new first year students. This is an exciting opportunity for students to develop leadership and communication skills. Ambassadors are the student face of the College sharing their student experience by working with local schools, communities and organisations. To make sure that there is representation across all subject areas two Ambassadors are appointed per academic school and all campuses are represented. Students interested in becoming an ambassador will be able to submit an application form in October and if the application is successful will be invited to attend a short interview in November. The application form and details of how to apply are available from Student Services. The Student Ambassadors that are selected will carry out their role from December in their first year to March in their second year. Ambassadors are accountable to their Head of School and will enter into a contract regarding satisfactory academic progress, contribution to College life, commitment, attendance and continuing on programme. Ambassadors will receive £200 will be paid in two instalments of £100, subject to a positive progress report from the Head of School. Student Representatives are selected to make sure the views and opinions of the students on their course heard. 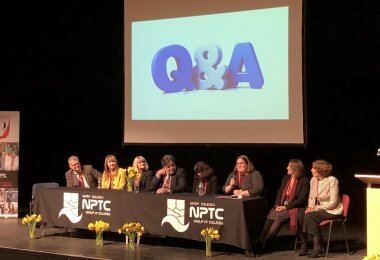 The work the Representatives do as a group and individuals is to improve the quality of the learning experience and teaching throughout the College. Representatives are selected in September and will receive training to support them in their role. The Reps take part in course meetings alongside their teaching and support teams, some are invited to represent students in key meetings across the College. The purpose of being involved in how the College is run is so that students have a central role in designing, influencing and informing how services are delivered. Being a Student Representative is a great way to develop skills and listen to student views from all campuses. Campus Senedd meetings take place every term where students are able to focus their discussion on a specific topic. The Combined Cadet Force (CCF) offers young people a broad range of challenging, exciting, adventurous and educational activities. The aim is to develop skills in personal responsibility, leadership and self-discipline. 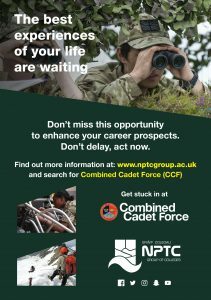 The CCF is an educational partnership between the College and the Ministry of Defence, and a CCF may include Royal Navy, Royal Marines, and Army or Royal Air Force sections. 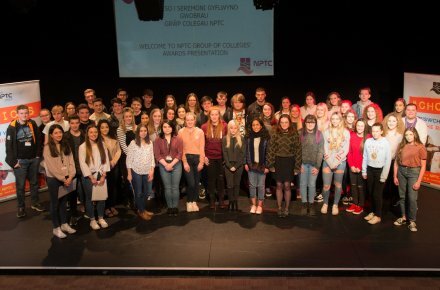 Students from across the College are encouraged e to volunteer to join the CCF regardless of which course they are studying. They will attend CCF sessions on a Wednesday afternoon at Llandarcy Academy of Sport, as well as weekend camps and a summer camp for at least one week during the academic year. There is little or no cost to students. Students will follow the CCF syllabus which includes topics such as map reading, military core skills such as weapon handling and shooting, foot drill (marching) and personal presentation skills, community engagement (Remembrance Sunday) and outdoor activities such as orienteering, kayaking, mountain biking and much more. 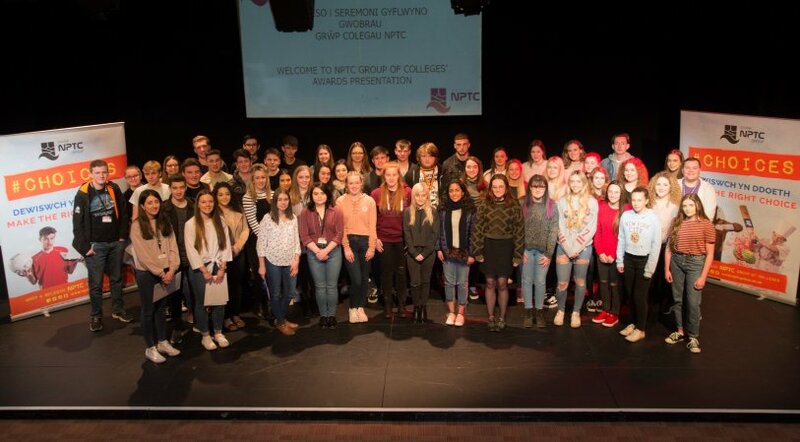 In addition to their course of study, the CCF aims to create well-rounded young people who are motivated and ready for the world of work and the requirements of all types of employers. There is also a role for Student Ambassadors to promote the College to our local communities outside organisations. Bursaries are awarded across four areas to students that show cultural, academic, sporting and vocational excellence. There are six awards for students that study on vocational level three two year programmes. Students are nominated by Heads of School for their achievement, endeavour, attendance and contribution to College life. Successful students are identified at the end of their first year and will receive a bursary of £1,500 paid in three instalments. Sports and cultural scholarships are awarded to students that have exceptional abilities so that they can develop their talents to their full potential. There is a formal application process that is open to all students. Fourteen scholarships of £500 are available and the awards are released subject to a successful report from the students Head of School. There are also six Elite Sporting Bursaries for top performing athletes. 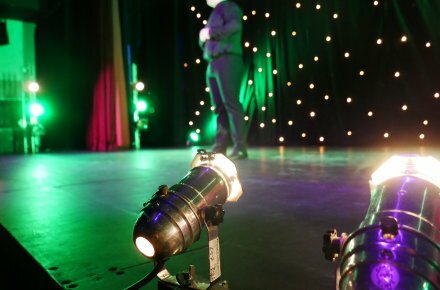 To be eligible to apply for the award students will need to be performing at a regional or International level. Each award of £1,500 and will be paid in instalments over three terms. 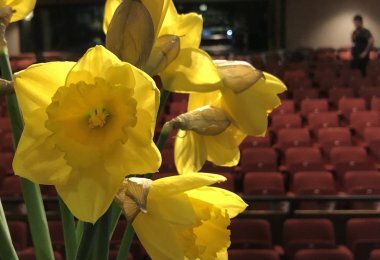 The College is supported by three charitable trusts that make awards recognising academic achievement and students that have overcome adversity to progress their leaning. This prize is from a trust established to commemorate Willian Lewis Jones who was Head of Maths at the former Neath Grammar School. The award of £500 is presented to the best performing maths student who goes on to Higher Education though the student does not have to be studying maths at this level. Students who have shown commitment and progress or who have overcome personal difficulties to continue their learning. Welsh Speaking or Want to Learn? 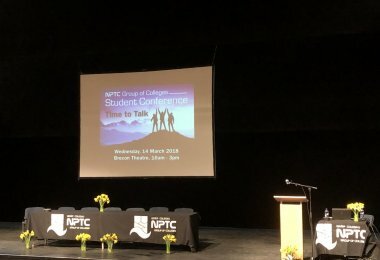 It was a family affair for three sets of twins who were amongst students at NPTC Group of Colleges receiving bursaries and scholarships for their achievements.